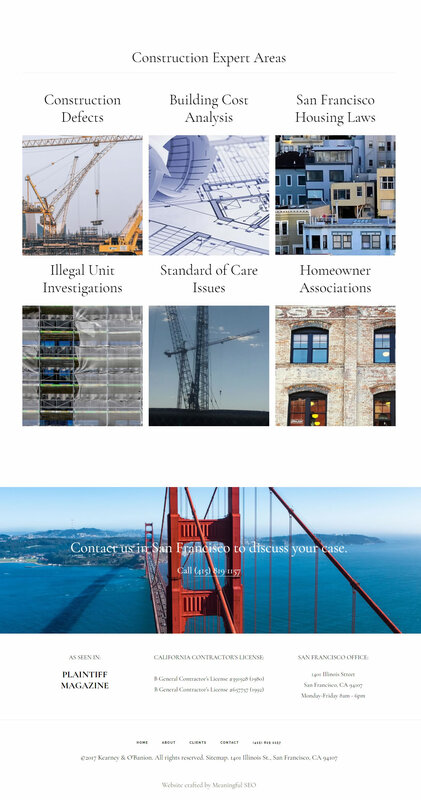 Fresh, new responsive site and branding that fits. 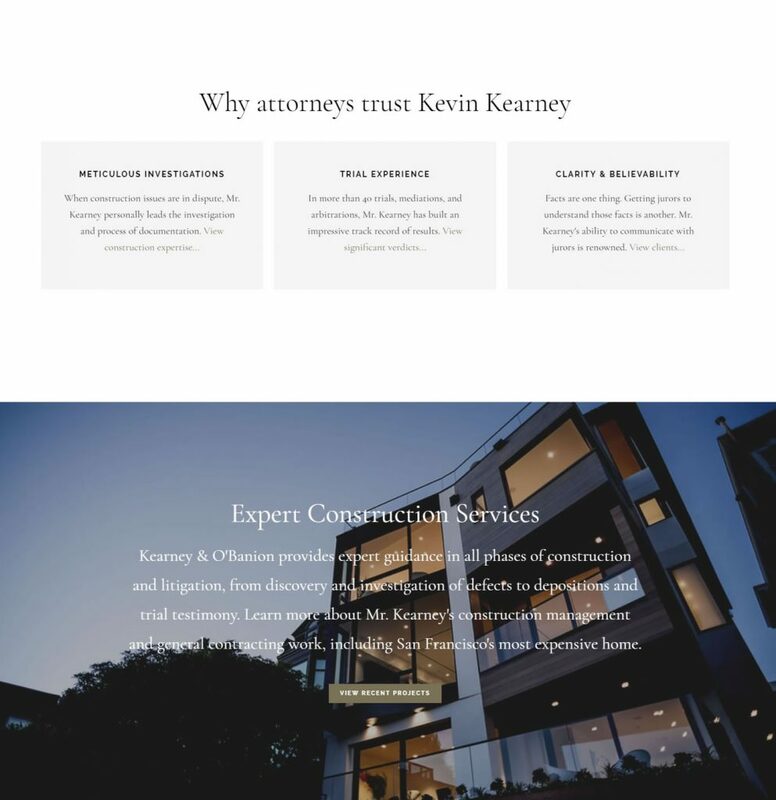 With a moblile un-friendly website that no longer functioned due to Flash files, the founder of Kearney & O’Banion, Kevin Kearney, had immediate technical issues to address. 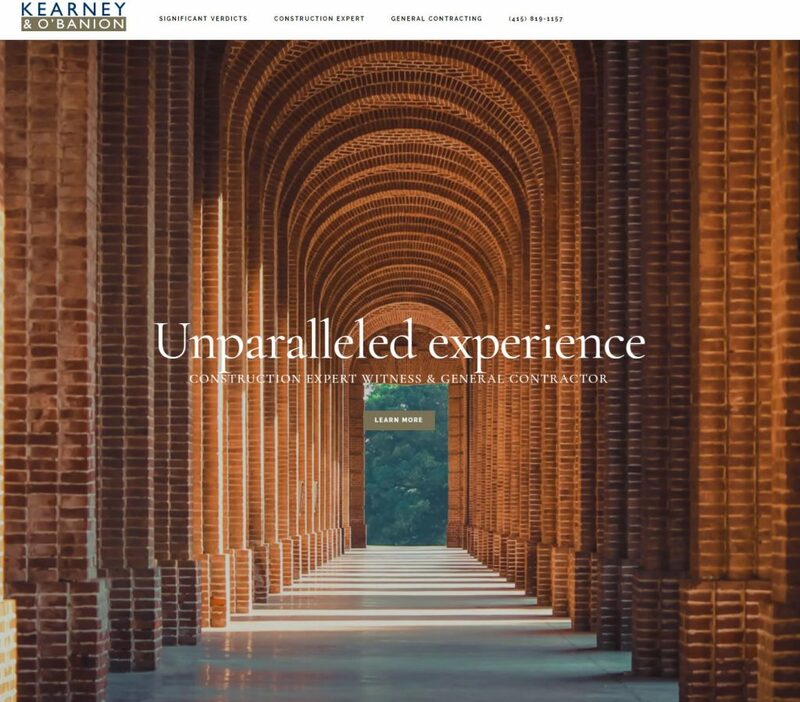 As with most cases of mobile website fails, there’s no easy way to retrofit older websites to behave responsively. A fresh build is usually the answer to the challenges posed by content that has to work on any size screen – from giant desktop to tablet and smartphone. Kevin provided a few key directives at the beginning of the project. 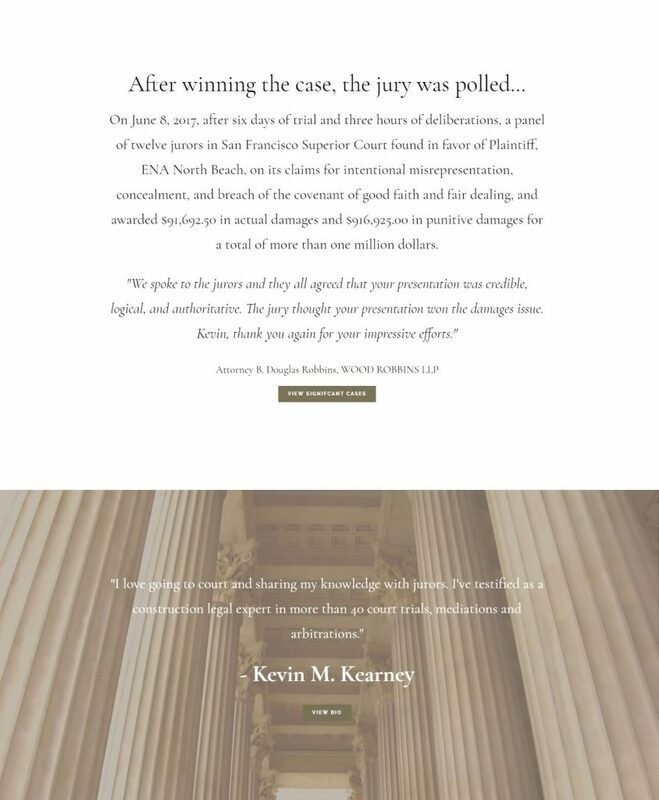 1) He wanted a site that showed attorneys his unparalleled trial experience. 2) The website must perform well in Google. 3) Convey the deep level of respect he has earned from the attorneys he has worked for.